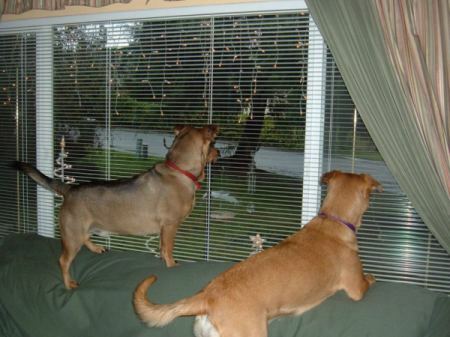 I got both my dogs at the animal shelter. Rusty Girl and Winston love to go camping with us, especially at the beach. 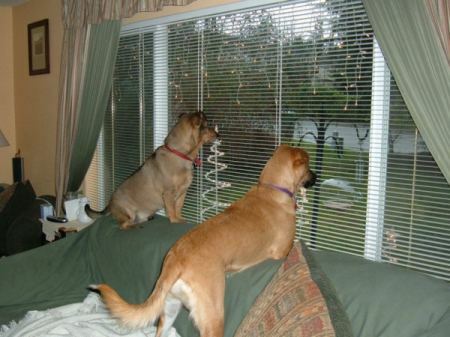 They also love sitting on the back of the couch looking out the big front window. 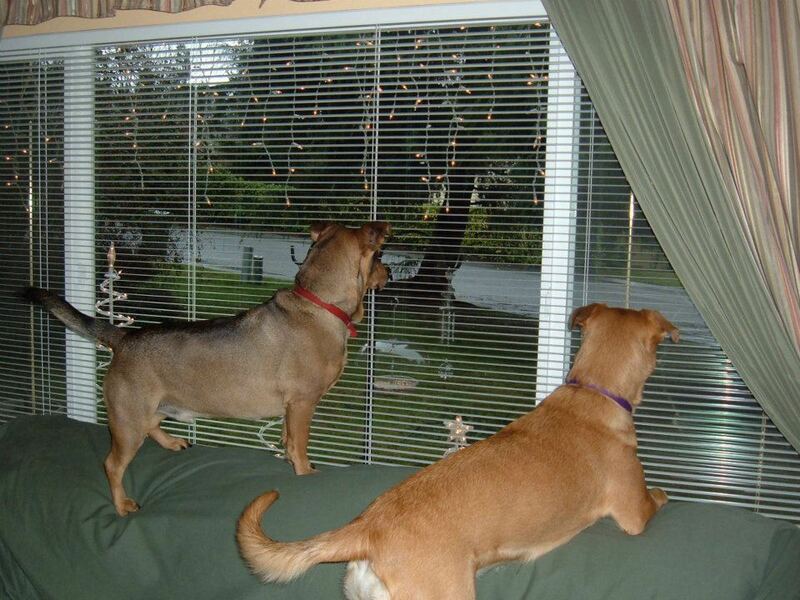 I told both dogs to let me know when Santa got here, and they sat for quite awhile looking out the window on "reindeer watch".